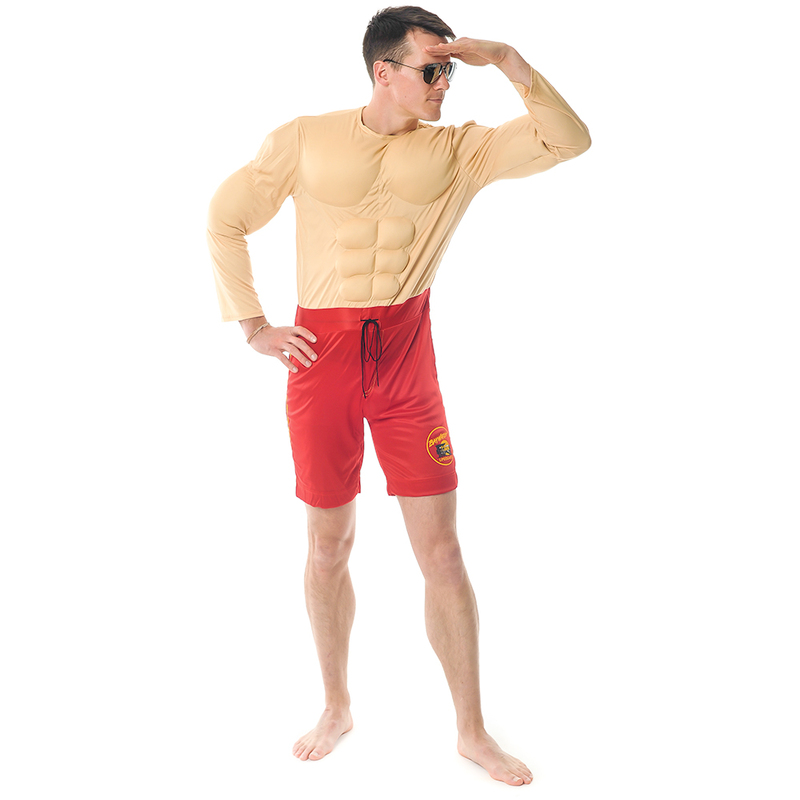 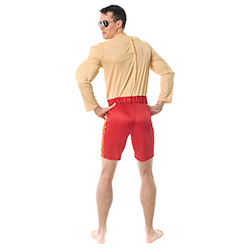 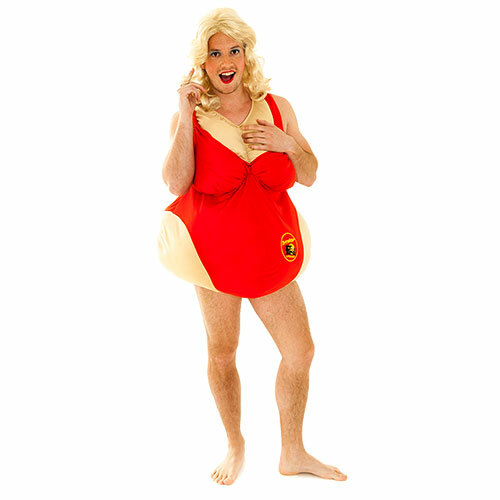 Blue sea, golden sand and good looking women, three things we can't guarantee you will encounter when wearing this official Baywatch lifeguard costume. 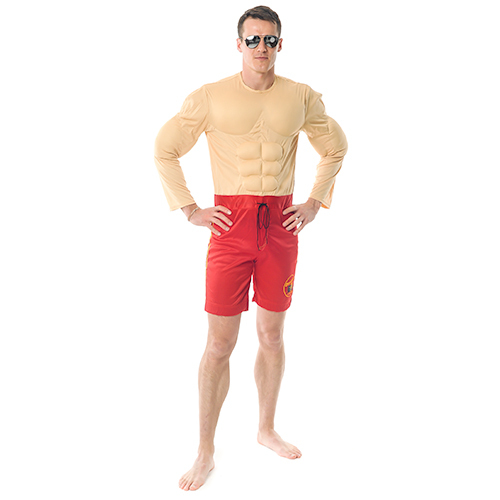 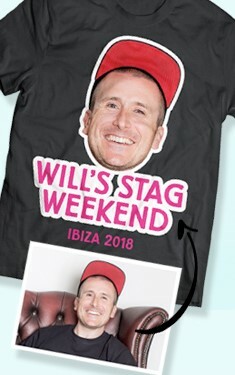 You will however look incredibly cool, the red shorts have the classic logo on and the outfit even comes complete with some fake muscles. 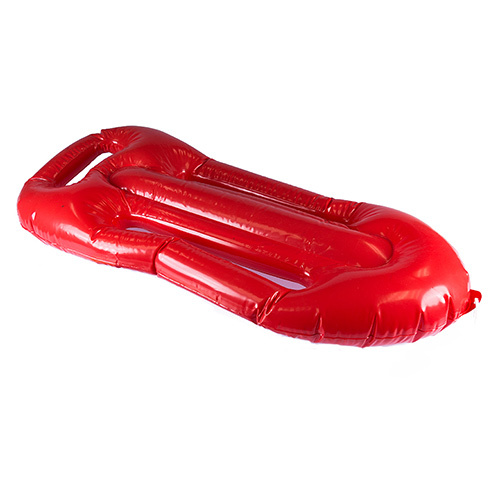 Of course it would all be meaningless without the red inflatable float so we have those too, add a Hoff mask and you have the ultimate outfit.